Fall is all about those spares, splits, and strikes. André Nordstrand It's not how you bowl, it's how you roll. In 1936, a real-life Indiana Jones type named Sir Flinders Petrie journeyed to Egypt hoping to unearth a pharaoh's fortune. The British explorer instead ransacked a child's tomb and discovered evidence of a crude form of bowling dating back at least 5,000 years. Bowling historians also say the Polynesians played a game called ula maika that involved rounded stones and pin-shaped rocks. Ancient German monks tried to justify their bowling habits by explaining that their pins (named kegels) represented devils or sins and that each kegel downed was a victory for Christ—which sounds way more entertaining than mass. The British banned the sport in medieval times when it grew more popular than archery and Edward III became concerned that his army preferred rolling balls to shooting arrows. While busy with the Protestant Reformation, Martin Luther also found time to reform the rules of bowling in the 1500s (and kept his own private alley at home). All of this history is a reminder that the world's great civilizations seem to share an abiding love of knocking down pins with a spherical object in the company of friends and neighbors. Baseball may be America's pastime and football our national obsession, but bowling is universal and timeless. It satisfies our human desires for competition and mastery—and for some friendly socializing over a pint of grog or mead or Old Style. It's no coincidence that when sociologist Robert Putnam tried to sum up his 2000 study on the decline of participatory democracy in America, he titled it Bowling Alone. Our nation of joiners and of tightly knit communities was beginning to abandon bowling leagues in favor of following spectator sports, and Putnam felt it was a bad omen for our civic strength. Even after his study was published, the decline of bowling continued: over the 15-year period from 1998 to 2013, the number of alleys in the U.S. fell 26 percent. Since the 2016 election, though, a call for more civic engagement has been sounded. There have been mass protests. People have been calling their congressional offices. This year a record number of first-time candidates have been running for elected office, and this fall voters are organizing marches to the polls. 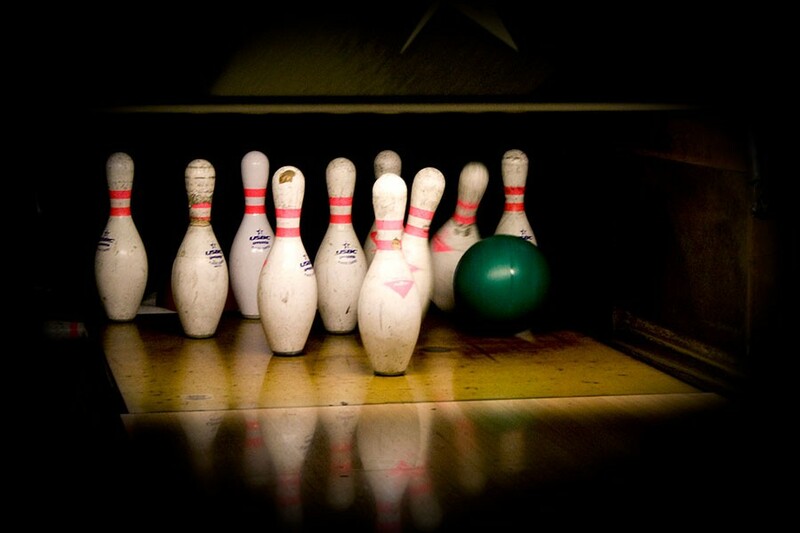 Maybe it's time to resurrect the good old-fashioned bowling league too. One light, two cameras, and beige and liver as far as the eye can see--it's Duane Dow's dream come true.